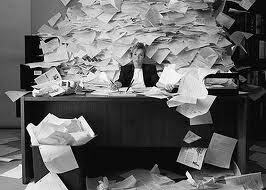 Paper based forms, documents and contracts consume space, are easily lost, and are resource inefficient. It's time to "go green" and reduce your use of paper, and here is how. 3. Provide staff with dual monitors to give employees an incentive to keep things on their screen and increase productivity. This New York Times article confirms that adding an extra monitor increases productivity. 9. Put it on the computer: consider electronic faxing or scanning. This reduces paperwork in the office and allows deals to move in parallel. 10. Use recycled paper and shred paper for recycling – not really a reduction, but good for the environment.